As the new year begins, people everywhere begin compiling lists of resolutions to build a healthier and happier life. The start of a new year is a great time to consider what areas of your life you could improve on and create goals on how to get there. However, the hardest part of making New Year’s resolutions is actually making them stick. 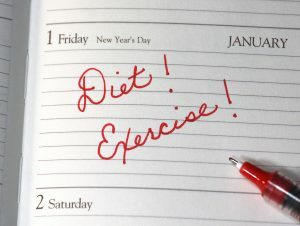 Previous studies show that up to 80% of most people’s resolutions have failed by the second week of February. Dedicate yourself to making this year different. 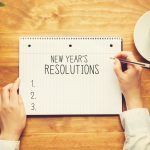 Make resolutions that are attainable and achievable and use these tools to build realistic resolutions you are sure to meet. One of the most important and sometimes forgotten steps is to make new year goals and resolutions that are realistic and achievable. Making any extreme goals is a great way to set yourself up for failure and frustration. Start small and find ways to improve your health without changing everything. Create a realistic path on how you are going to achieve each goal, so you have a set knowledge of how to accomplish it. Make goals that you know your body can achieve and your New Year’s resolutions will beat the odds. When making your New Year’s resolutions, make sure you don’t go to any extremes. Having well-balanced goals makes them more likely to be successful. Like every area of your health, everything should be in moderation. That includes work out plans and dieting regimes, don’t try quick-fix solutions. 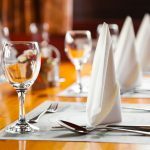 Starving yourself after the holiday binge eating won’t work. Shy away from trends such as extreme detoxes or overcommitting yourself to a strict workout routine. Create a balanced lifestyle this year with a stable start on your goals. Achieving overall health should be the utmost priority as the new year begins. That means focusing on improving all areas of your health, not solely just your weight. Make goals for your mental and spiritual health as well as your physical health. Evaluate all areas of your wellbeing and see where you can improve. It might be drinking more water, getting more sleep, or finding time for more meditation, whatever the area of your life, dedicating the new year to improving it is a great start. Work towards one of your new year goals every day. Not only will this help you accomplish them, but it will also help hold you accountable for completing your goals. Try to do something active every day. Even if you can’t hit the gym, go for a walk at work or spend time outside. Celebrate your small successes and you’ll find it easier to make it to your big milestones.